Past & Curious: Natalie Wood ‘Murdered,’ New Fleetwood Mac Tunes + MORE! GO FUND ME: Ernest Thompson (b. 1949) is best known as the winner of the Oscar and the Golden Globe for his On Golden Pond (1981) screenplay. Now, he's gearing up to direct and star in Parallel America, a proposed film about a group of '60s radicals who "failed to storm the castle" way back when, but who may have found a back way in in 2018. The film will feature Gordon Clapp (b. 1948), Lisa Bostnar (b. 1959), Alvin Epstein (b. 1925) and John Davidson (b. 1941). Check it out and lend him your support! CLOSER: The captain of the Splendour, the vessel on which Natalie Wood (1938-1981) took her final voyage, states flatly that Robert Wagner (b. 1930) "murderered" her on an upcoming episode of Dr. Phil. ULTIMATE CLASSIC ROCK: According to Mick Fleetwood (b. 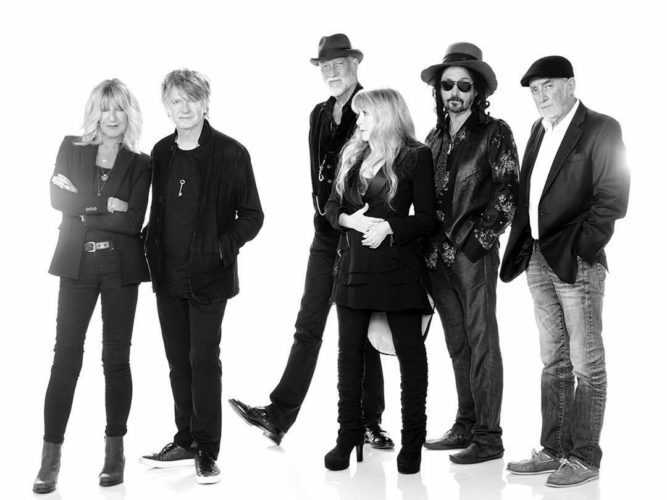 1947), Fleetwood Mac's new members will likely contribute to a future album of new music. DALLAS NEWS: Texas Board of Education votes Helen Keller (1880-1968) and Hillary Clinton (b. 1947) out of text books for American schoolchildren. Just like that. PEOPLE: Paul McCartney (b. 1942) wishes he could have done something to save Amy Winehouse, the tragic singer who died of a drug overdose this very week in 2011. YOUTUBE: Andy Warhol (1928-1987) would have turned 90 in August. Check out the above Love Boat episode that captures his ... Warhol-ness.